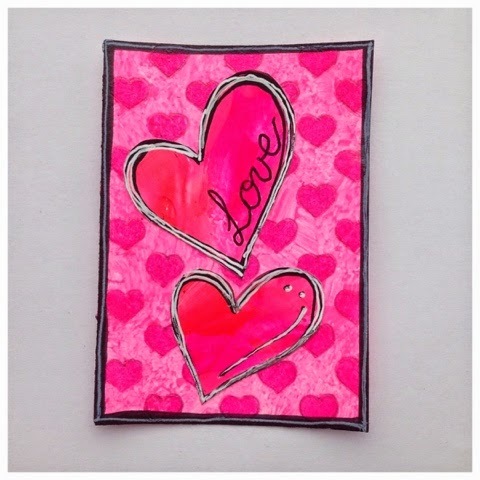 I had to send a stamped, self addressed envelope to the company, I received some chipboard embellishments to create a project with and enter into the competition. These are the pieces I received. Ii wanted to showcase the versatility of chipboard, and the many ways I use it in my Mixed media art. I carefully seperated all the chipboard pieces and started creating. The first part of my project was tracing around the backing piece of chipboard onto white cardstock to create some embellishments. I painted over them with acrylic paint, before cutting them and outlining them with black and white gel pens. 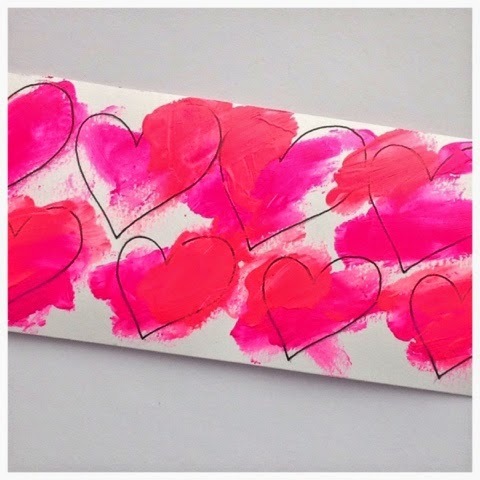 The first product I made was an Artist Trading Card, I used paint and stencilling and glued my heart embellishments onto the card. I created a bookmark by using sprays and spraying through the chipboard pieces like a stencil and highlighting with a white gel pen. 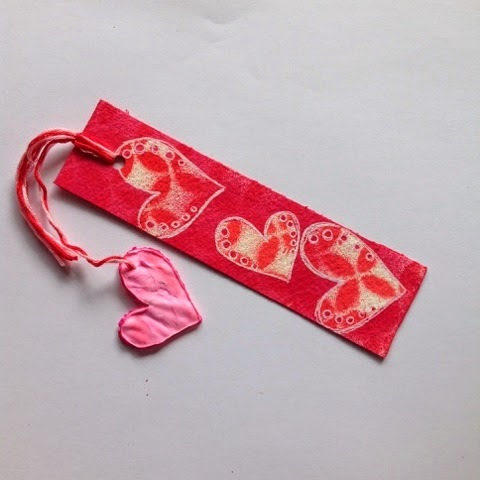 I also used the backing chipboard to make a charm for the bookmark out of modelling paste. 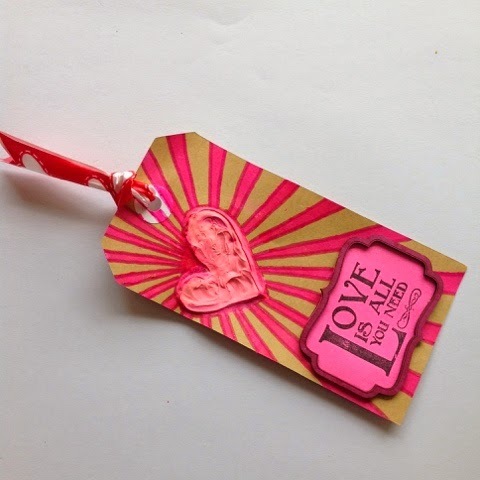 Using the background chipboard again I used modelling paste to create a textured heart Tag, I used permanent marker to colour the chipboard piece for the stamped sentiment. I coloured a piece of chipboard with gel pastels and used a stamped sentiment with scrapbooking papers to create a Postcard. 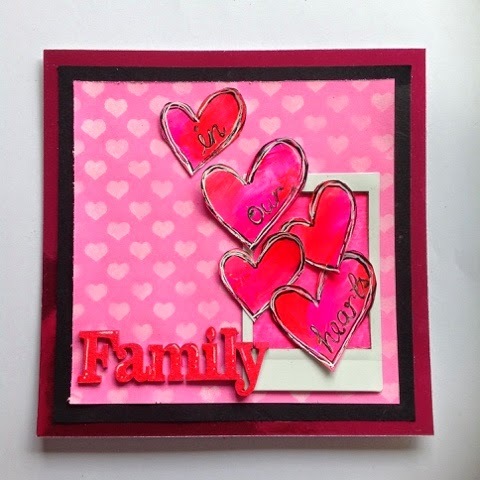 I painted the "family" chipboard piece with acrylic paint and used paint pen for highlights to create dimension. 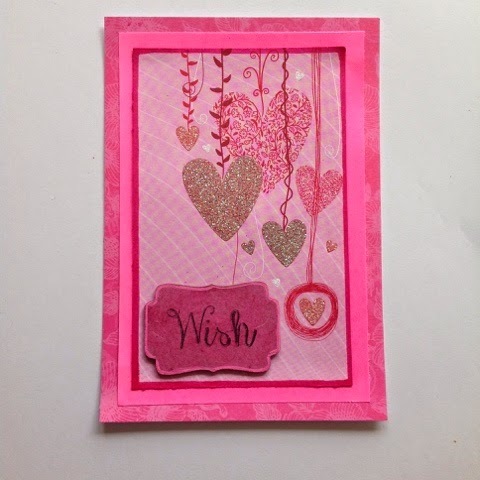 I used some of the embellishments I made and scrapbooking papers to create a scrapbooking page. 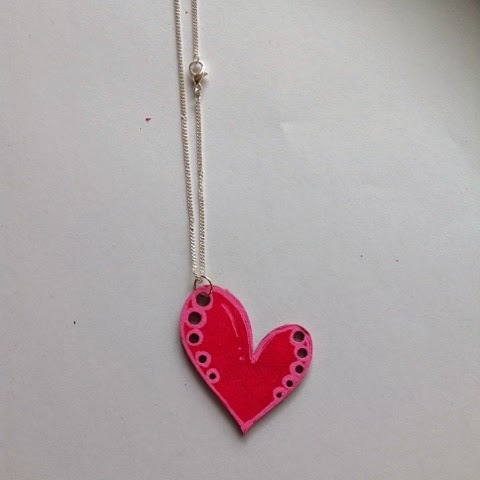 I painted one of the heart chipboard pieces with acrylic paint and paint pen and added some jewellery finding to create a Necklace. 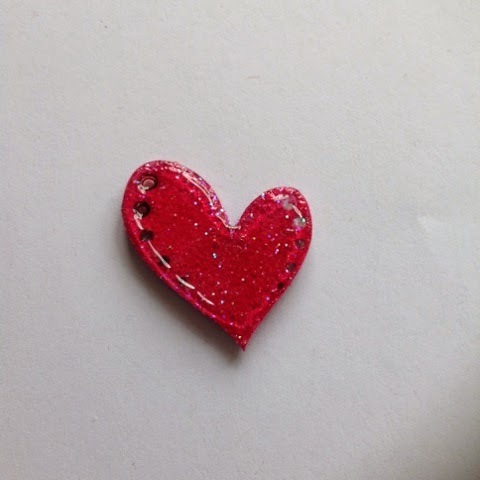 I used glitter and liquid glass on the other piece of heart chipboard and created a magnet. 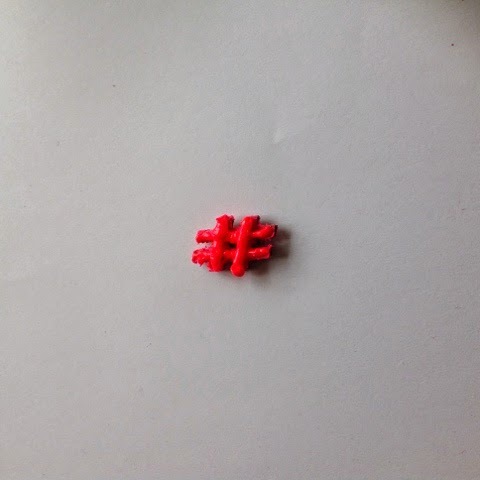 I used Puffy Paint to create a magnet with the "hastag" piece of chipboard. 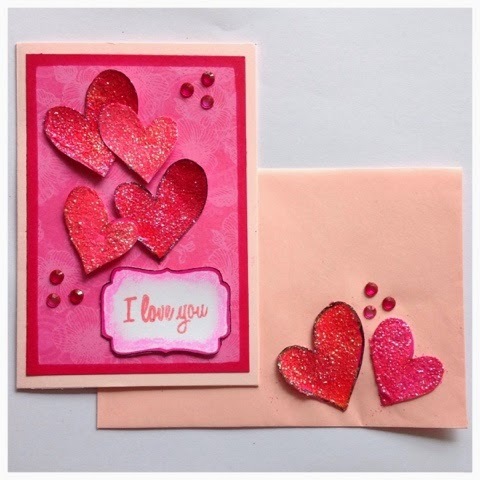 As you can see chipboard pieces are a versatile embellishment that can be used in many different ways. 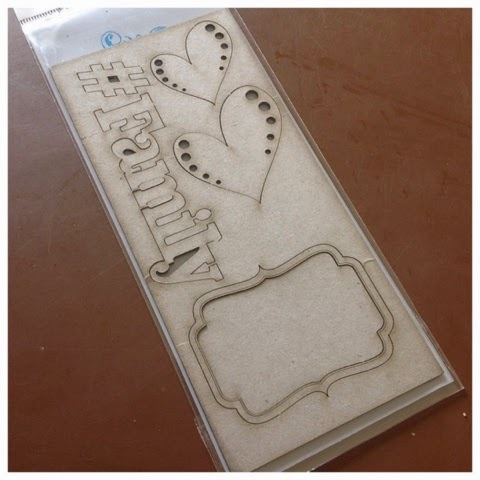 I hope this has given you some ideas on how to use your chipboard pieces.